Air Temperature: 10 to 50 F.
Visibility: 25 - 55 Ft. Remember the State of Nevada requires all divers to remain within 100 feet of a dive flag any time they are in the water snorkeling or scuba diving. This includes dives that originate within swim areas but proceed outside the marked swim area even if the diver remains submerged. Fines can be substantial as can the risk of an encounter with a boat prop. Neither is preferable. Maximum Depth: 1645 Ft. off Stateline Point (92 ft below Carson City). Surface temperature ranges from 75 F in summer to 37 F in winter. Life: Brown, cutthroat, rainbow, salmon, mackinaw trout, f/w sculpin, f/w shrimp, crawdads. Surface area 193 Sq. miles (70 in Nevada). 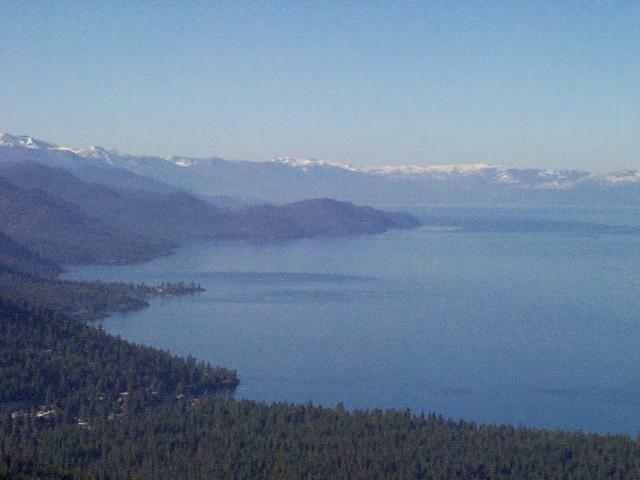 Visibility ranges from 20 ft. to over 100 ft.
Tahoe contains 4 times the capacity of Lake Mead. Maximum water level is 6229'. 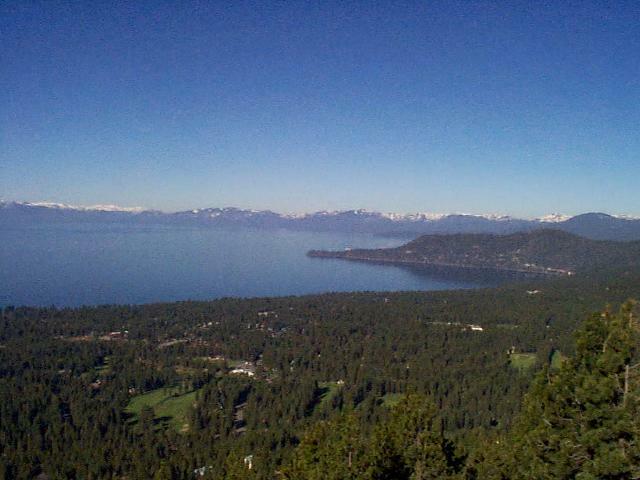 Tahoe does not freeze over. 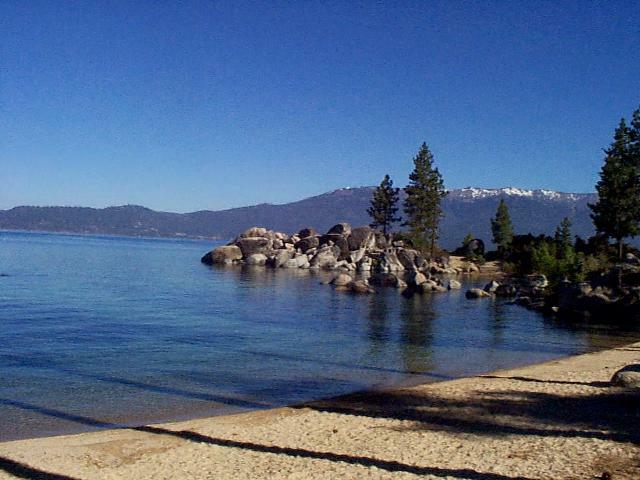 Would you like to dive Lake Tahoe? We can help! The diving professionals of Sierra Diving Center have been diving the lake since 1968. We know all the best spots and access points. We can arrange a dive guide to introduce you to high altitude diving techniques and be your dive buddy. Want to learn more? Take our Altitude Diver Specialty Course. 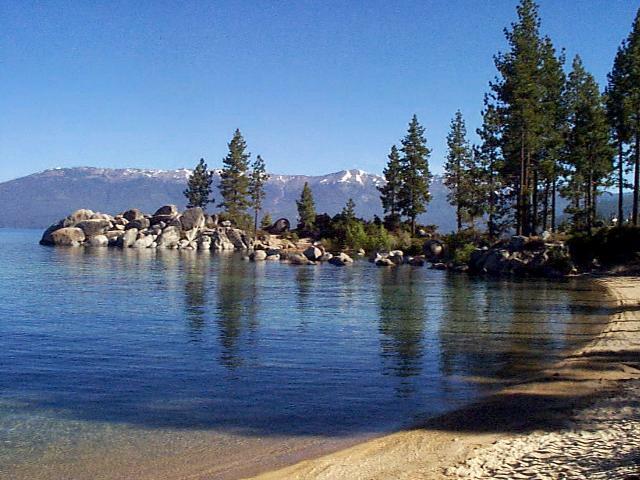 This course can be completed in one day and includes 2 open water dives at Lake Tahoe. You receive complete training on the changes that occur at altitudes above sea level, conversion tables for diving at any altitude up to 10,000 ft., adapting to high altitude and fresh water and your PADI Altitude Specialty Certification. This class is arranged at your convenience. Give us a call or e-mail us to schedule your "Altitude Adventure". If you would like an introduction to altitude procedures see our High Altitude Diving Page. This new book provides information on diving dozens of the high mountain lakes of the Sierra Range. The book includes maps and descriptions as well as a dive site rating system. It also includes background information and historical data of the area. This is an invaluable guide to the diver looking for new dive sites close to home. Cost of the book is $14.95 plus shipping and sales tax where applicable. To order this excellent reference guide give us a call at (775) 825-2147 or fill in the Information Request Form and we'll call you to arrange the order.